Happy Valentine’s Day everyone! This Valentines I am celebrating as a singleton… not because I don’t have a boyfriend, but because JJ is in East Timor and I get to celebrate all week with my girlfriends! YAY! It’s been an interesting theme for discussions because a few friends (namely males) have expressed that Valentines Day shouldn’t be celebrated. I will vouch for my friends that they are indeed good boyfriends, and that their argument stands true that they treat their girlfriends wonderfully everyday of the year, so why just on Valentine’s? I think that the same anti-Valentines argument could also be a poor excuse for people who don’t treat their partners lovingly to skip on the one day a year that would give some joy to their lover. So I say, if everyday is Valentine’s Day for your lover, then you have nothing to worry about, but if not then you better get off your sorry behind because there’s no excuse for being a lazy lover! I’d love to know your thoughts on the holiday in the comments below. As for my photos, I went out for dinner with my dear friend Breanna Guterres last night, who is moving to Alice Springs at the end of the week! 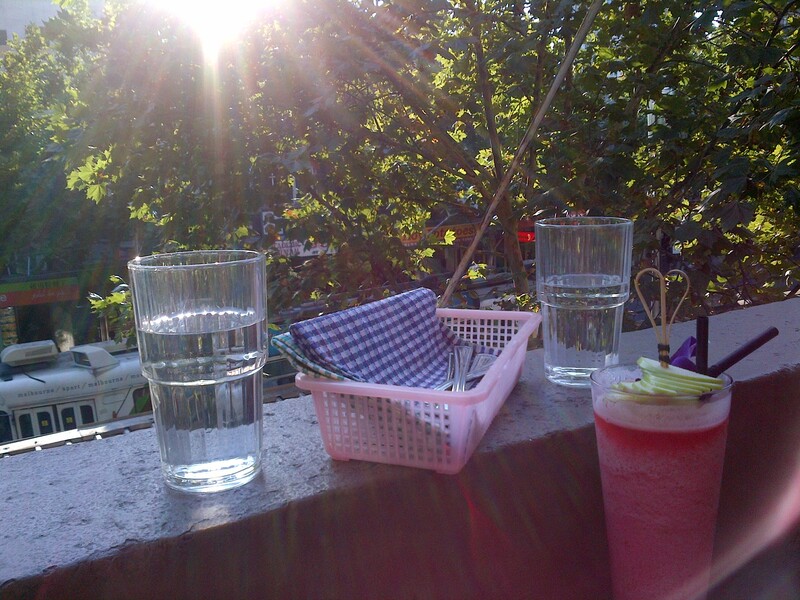 We ate at Cookie, which is a Thai-fusion restaurant and trendiest bar in the city with spectacular bartenders. The service is always great with the waiters always happy to offer suggestions and play fun guessing games for cocktails that come from the bar. We got to sit out on the balcony overlooking the street which was perfect for a summer dinner. It’s a favourite place for JJ and I to eat at because Cooks is great with Gluten Free meals, which is why I took Breanna there since she’s Gluten Free too. The bartenders can make anything you want, and you can pick a fruit/s and what comes out is always delicious (and never the same!). My office-mate Courtney Kim is helping her friend at Loveholic with flower deliveries for Valentine’s Day. 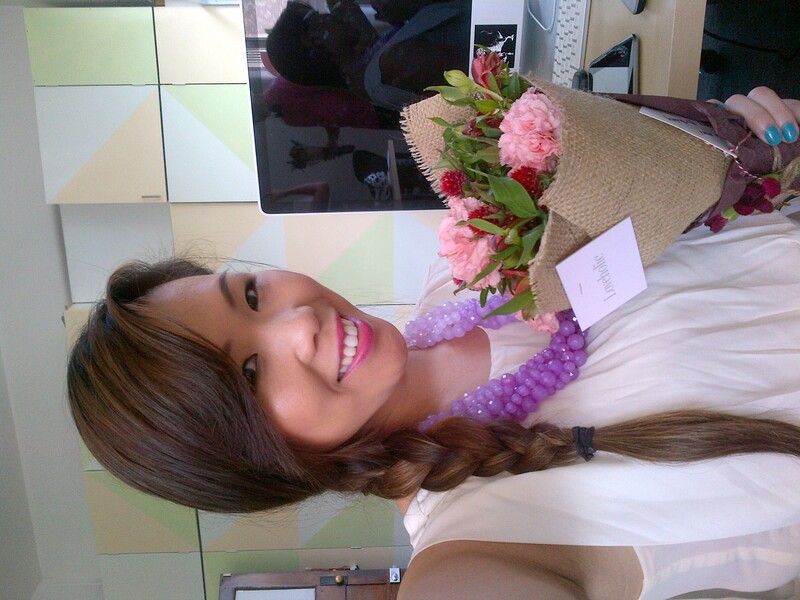 Loveholic is run by a talented florist and they had a cute delivery boy with a bow-tie suprise all their clients today! I made a brief cameo appearance in a video Courtney’s filming for Loveholic (check it out below!). 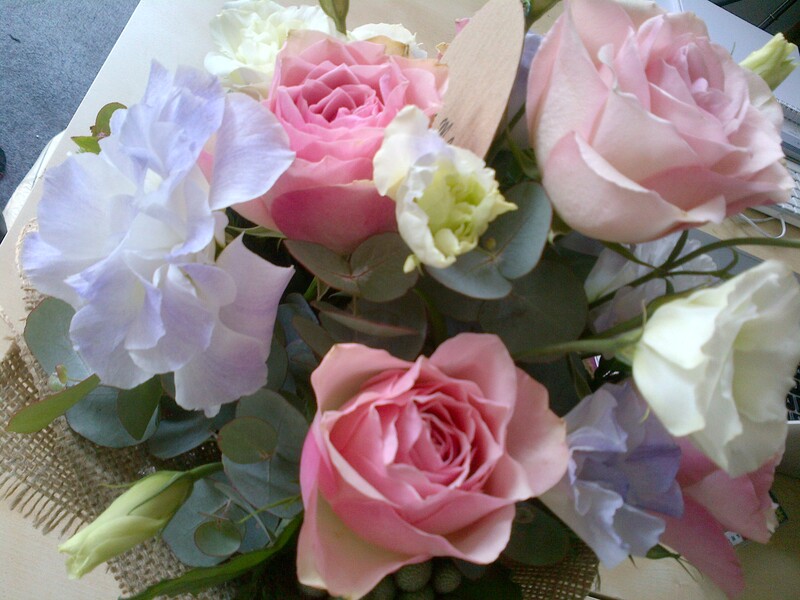 I am a happy customer who receives a gorgeous bouquet. So I was actually suprised with flowers for Valentine’s Day afterall, but the delivery boy took them with him when he left, hahaha! Hopefully, I make it to final cut and I can include the link on my blog! Enjoy the photos! Beautiful Loveholic floral arrangement. So sweet! Lovely weather to dine on the balcony at Cookie. 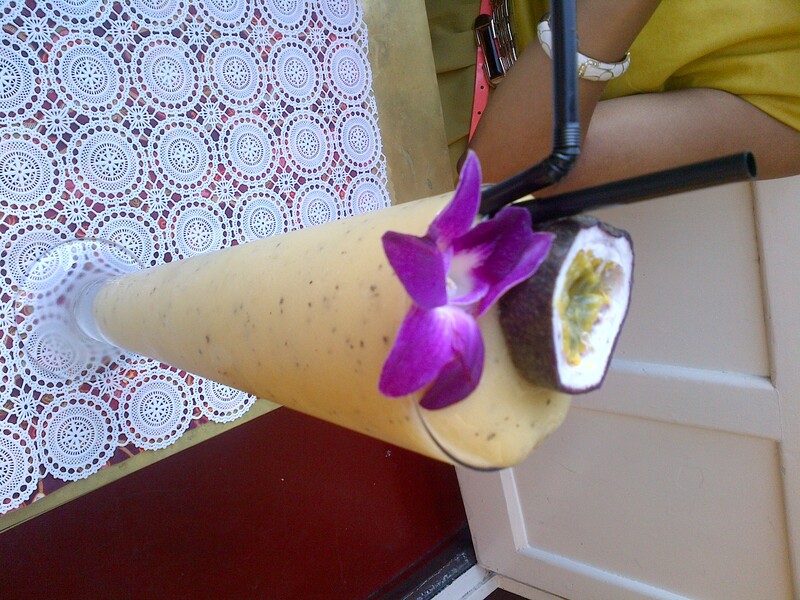 My mango passionfruit mocktail at Cookie! 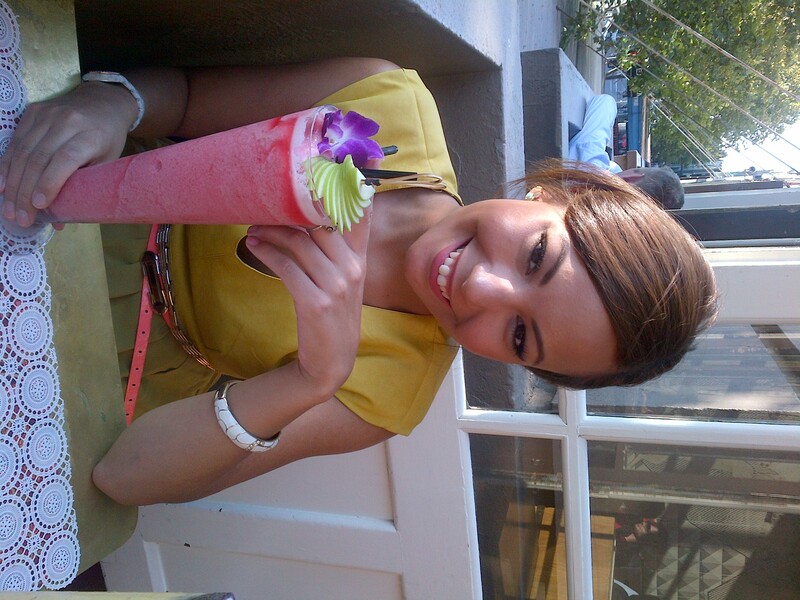 Breanna enjoying her apple berry mocktail at Cookie. Every day is Valentine’s Day for me and EJ. And yet, we bought each other chocolates (from the same shop – Shakolad). And he got me roses and I bought him a card. But he treats me wonderfully all year long. So your friends who says “Why bother with Valentine’s Day?” should make sure to make every day special! I also bought roses for my Mom. Grandma Flo had twelve babies, so twelve roses seemed about right. Happy Valentine’s Day Theresa & EJ! What a sweet suprise. It sounds like you had a double sweet Valentine’s! I think it was clear to me when we first met that every day is Valentine’s Day for you and EJ. The house is full of love!